Mithun V Pavithran from Thalassery, Diploma Graduate. CONFIGURATION ROUTER.. NETWORKING & HARDWAR..
are one of expert skill area's of Mithun V Pavithran . 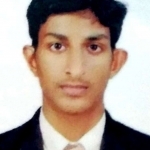 Mithun V Pavithran is working in IT Hardware industry.